Ahhh… the bulalo. It’s one gastronomic delight that’s oh so delicious and yet can be hazardous to your health due to its cholesterol content. It is a dish that is likewise lethal to those with gout; I know someone who has this but he loves bulalo so much that he is willing to indulge in it once in a while and face the consequences later on. 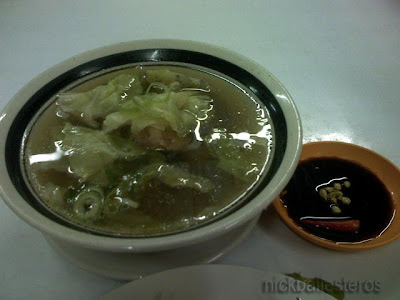 Bulalo is primarily bone marrow soup, with the beef shank boiled til it becomes so tender the meat falls off the bones! Even the simplest serving of soup, meat, bones and marrow is a wonderful dish by itself, but the fancier way of cooking includes petchay (or cabbage), baguio beans, and potatoes. This famous soup is loved by people from all walks of life, and can be found in both classy restaurants, carienderia (food shops), and sidewalk stalls, with many declaring it as a house speciality. I prefer my Bulalo with veggies, and with a soy sauce dip mixed with calamansi and chili pepper on the side. And I want my Bulalo soup refillable too! How do you like your Bulalo? I add corncobs sometimes and the whole family loves it! yum! Mirage2g: Uyyy.... and saba! Oo nga ano... teka... bulalo pa rin ba ang tawag kapag may corn on the cob or saba? May kakilala din ako iinom na lang daw ng gamot pangontra basta kakainin nya kahit bawal..hehehe. Wow – your bulalo look so, so good! Your post just turned on my appetite for Filipino food and dishes. I always love Filipino food and will cook bulalo when I get home. Thank you for this great post!